While the Pixel produces the better looking photos, the XR’s camera was a big surprise. I recently reviewed the Google Pixel 3 XL and it turned out to be an excellent camera smartphone especially for selfies. It beat the pants off the iPhone XS and XS Max that somehow could not produce images of comparable quality, despite having two cameras at the back. Since we are talking about dual cameras versus a single camera setup, we had recently received the new Apple iPhone XR for review. And since we had all three in our office, I decided to test out Apple’s new software driven single rear camera versus Google’s mighty Pixel 3 XL, which also sports a single camera at back with all those machine learning bits thrown in. To make things even more interesting and exciting, I added the new iPhone XS to the mix. Overall, the Pixel 3 XL in our camera shootout performed as expected but what was surprising, were the results from cheaper iPhone this year called the XR. I started off with some simple Portrait shots clicked in broad daylight. My subject, Sneha Sharma wasn’t too keen about standing out in the sun, but she played along and we got some interesting photo samples that showed some rather interesting results. But first let’s look at the specifications. The iPhone XR packs in a single camera at the back unlike the iPhone XS that packs in two and is priced a lot higher as well. That main camera at the back features a 12 MP sensor paired with an f/1.8 aperture lens with OIS and PDAF. 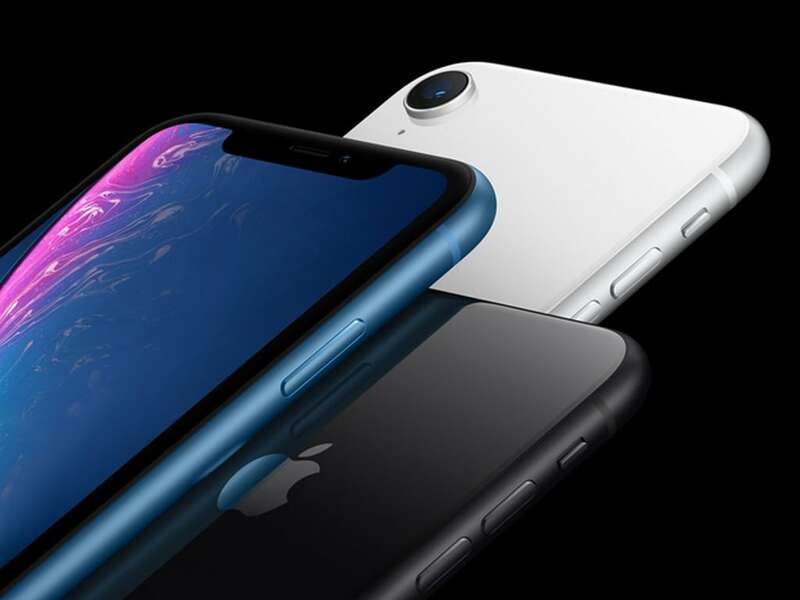 The rear camera on the XS features two 12 MP cameras, one wide with an f/1.8 aperture and the second telephoto lens with an f/2.4 aperture. Both smartphones feature a 7 MP front-facing camera with an f/2.2 aperture. The Google Pixel 3 XL indeed is a bit more equipped here. Like the XR it too packs in a single 12.2 MP camera with an f/1.8 aperture and couples that with OIS and dual pixel PDAF. On the front, it does things a bit differently. There's two 8 MP cameras (f/1.8 + f/2.2) on the front offering a standard wide and an ultra-wide that can easily accommodate more people into a selfie. Now that we are done the specifications, let's have a look at the results. The Portrait shots revealed the weakness of the iPhone XS against the Pixel, but also revealed how differently the iPhone XR clicks its photos using a single camera at the back. The Pixel 3 XL showcased the most pleasing colours by going a bit overboard and boosting its saturation levels. The iPhone XR and the XS showcased natural looking colours. Edge detection saw the Pixel as the winner keeping the entire subject in focus. In second place was the iPhone XR which again kept the entire subject in focus. The iPhone XS came in last, keeping just the face of the subject in focus with the clothes blurred as you can see in the cropped photos above. The iPhone XS also somehow manages to get little into the frame because it uses the telephoto lens to pull off the bokeh effect. This will also force you to take a few steps behind if you want to get more of the scenery into the background when shooting those Portrait shots. The iPhone XR does a significantly better job here because it has just one wide lens to play around with and pulls off a software bokeh effect, which surprisingly does a better job than the XS. For some odd reason the iPhone XS prefers saturating images. The close up of this portrait also reveals some processing going on on the XS, which takes away some details from the subject’s face. This strangely isn’t visible on the XR. In this tough shot which has parts of the subject in bright sunlight and her hair in the shadow sees the XR show maximum detail with Pixel almost artificially exposing her face using synthetic fill flash. The XS obviously loses this test with an abnormal yellowish hue. One detail to point out about the XR is that it only lets you click a Portrait photo if there is a "person" or a human in the photo. Over the past few days I have tested this on objects, food and it surprisingly does not activate the Portrait mode. While the photos from the Google Pixel 3 XL look well contrasted and clean with better resolved details in this landscape photo comparison, it's easy to point out the black blobs in its aggressive HDR processing. These black blobs which I also pointed out in my full review of the Pixel 3 XL kind of reduce the dynamic range of the photographs. Out here it’s the iPhones in my opinion that click better photos. In this indoor low light shot of model car, the Google Pixel 3 XL’s photos do look vibrant and colourful in comparison to the iPhone’s samples. This is Google’s machine learning algorithms hard at work that manage to reproduce better colour by experience. The technique sure adds a punch to the low light photo and the results speak for themselves. In extreme low light scenarios like this dark conference room, the Pixel 3 XL’s photos look punchy and contrasted while the iPhones deliver more natural (read dull) looking photos in comparison. The Pixel 3 XL certainly shoots the better-looking low light photographs of the three but the dynamic range is cut short. Most people would definitely pick the Pixel’s photos over the iPhone in this test and so would I. When it comes to selfies the Pixel 3 XL rules, no matter what the lighting condition. In daylight the colours look a bit saturated, but this balances out well, when it comes to bright lighting conditions by reducing bright spots and showcasing some sharp photos that you could blow up and even print and frame on your wall. Both the iPhone XS and the XR cannot keep up in low light or dim light portraits producing far less details than the Pixel 3 XL is capable of and duller colours as well. As for videos, the iPhones are far better delivering silky smooth FHD or 4K 60 fps video which the Pixel just cannot match. To top it off there’s the stereo audio which gives you the feeling of being there, in comparison to the Pixel 3 XL's audio which gives you the feeling of being a spectator. Selfie videos also look a lot better and stabilized on the iPhones than they do on the Pixel 3 XL. You can pixel peep into the camera and video samples by clicking here and visiting our Flickr photo gallery. While Google Pixel 3 XL produced some saturated images by going a tad bit overboard with the colours, the images still stand out and look more pleasing to the eye in comparison to Apple’s images that appear a bit dull in comparison to the Pixels’ even though they showcase better range and look more natural. The XR and the XS do some strange things too. The XR is really bad with Portrait selfies indoors showcasing little details, while the XS’s performance is pretty much inconsistent. When it came to video, the iPhones were the clear winners. With the Pixel falling far behind when it comes to video quality no matter what the lighting conditions. The Pixel seems to have a colour palette of its own, thanks to its rather synthetic approach to clicking images, which makes them instantly recognisable as a photograph clicked on a Pixel smartphone. When purchasing a smartphone, especially in this price range, you would want a device that captures great photos and shoot great videos as well. And with this the Pixel 3 XL does lose to the iPhone XR, even though if features the best camera we have seen (albeit with a few flaws) on a smartphone till date. So if the camera and selfies is all that you are looking for, the Pixel is definitely a better choice. If you love shooting landscapes and are somewhat interested in shooting Portraits of people, the iPhone XS or XR with its depth control is a better choice. But if videos is your thing you will have to skip on the Pixel, because there's no defeating the iPhone's 4K 60 fps video capture.